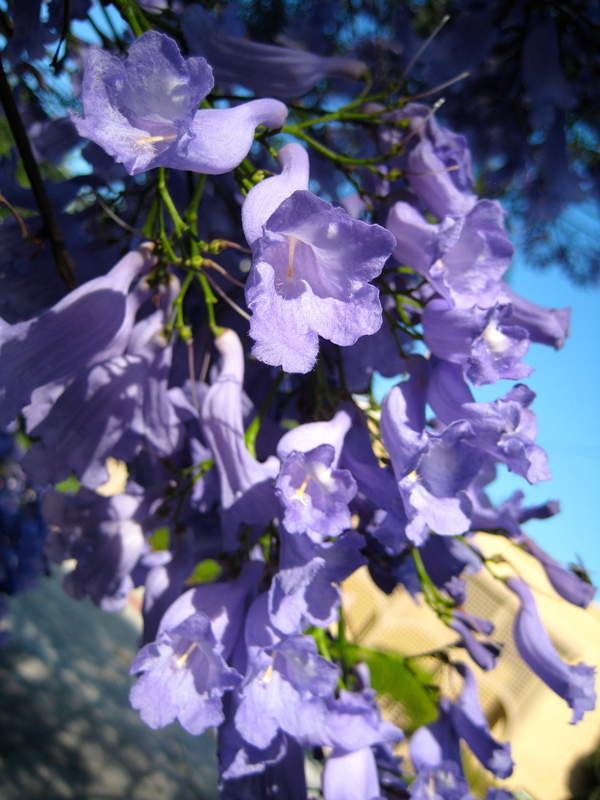 Jacaranda time | Real in L.A.
Twenty-one years ago this week I arrived in L.A. I had accepted a job offer and came with my meagre collection of worldly possessions intending to stay, oh, maybe two years, three at the most. But I fell in love with a native Angeleno and here I am, 21 years later. The night before entering the city proper, I stayed with friends in Pomona. I recall one of them remarking on how the jacaranda trees were still blooming so late in their season. Maybe late for that end of the San Gabriel Valley; I’ve since discovered that here in the city, jacarandas often stay in bloom right through June Gloom, a gift this noir City of Angels badly needs and hardly deserves. 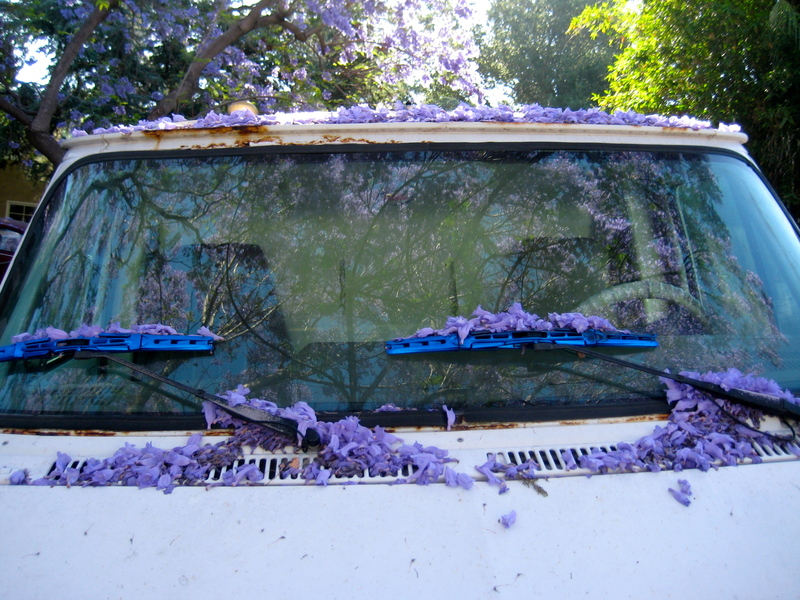 After more than two decades, jacaranda season still makes me dizzy with its visual splendor. 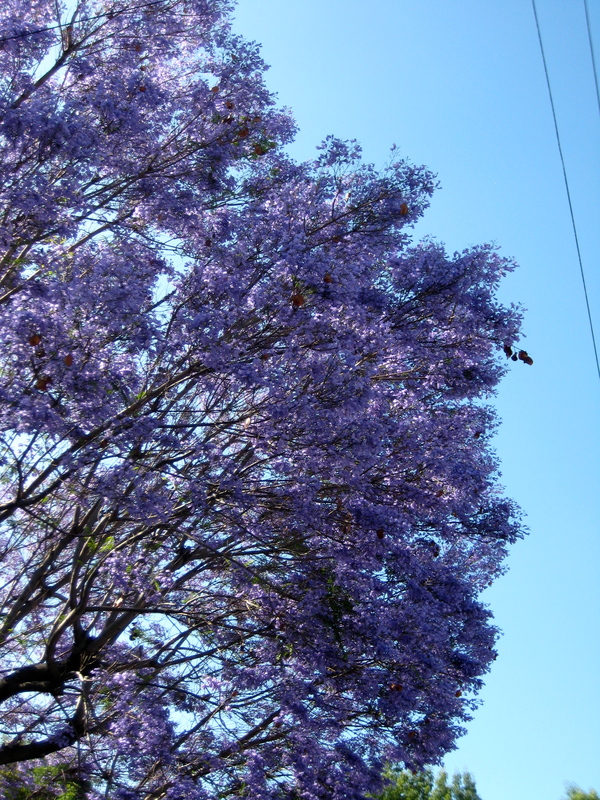 When the trees blossom, a hazy purple canopy descends upon the city. Swathes of purple shadows litter sidewalks and lawns. Viewed against our fairy-tale blue Southern California skies, a jacaranda tree can take my breath away. I wondered for years whether jacarandas were a California native and was misled for a time by an unlikely source into thinking they originated in South Africa: In his inauguration address, Nelson Mandela mentioned several of South Africa’s landmarks and jacarandas were included. 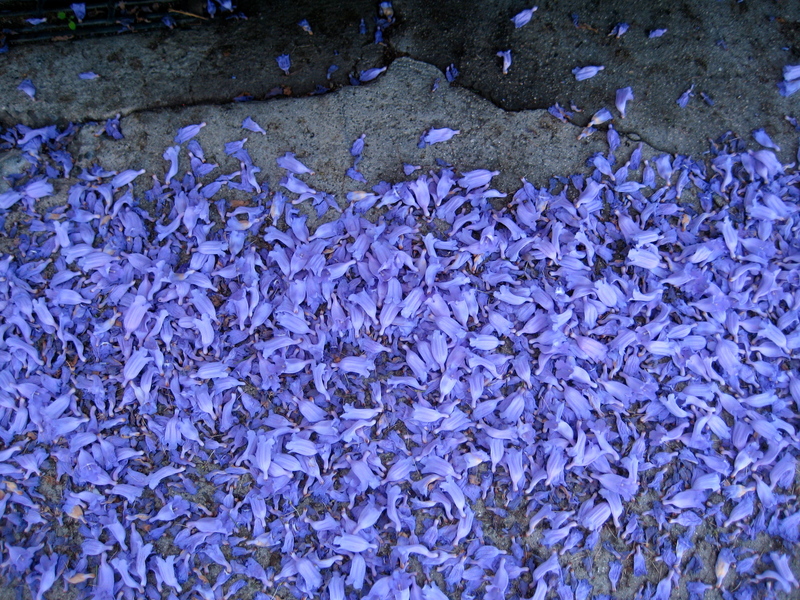 But, no, Jacaranda mimosifolia actually hails from southern and western South America. They have now invaded frost-free zones all over the world. Much as I appreciate the native plant movement, I’m delighted jacarandas made it to our shores. You are currently reading Jacaranda time at Real in L.A..